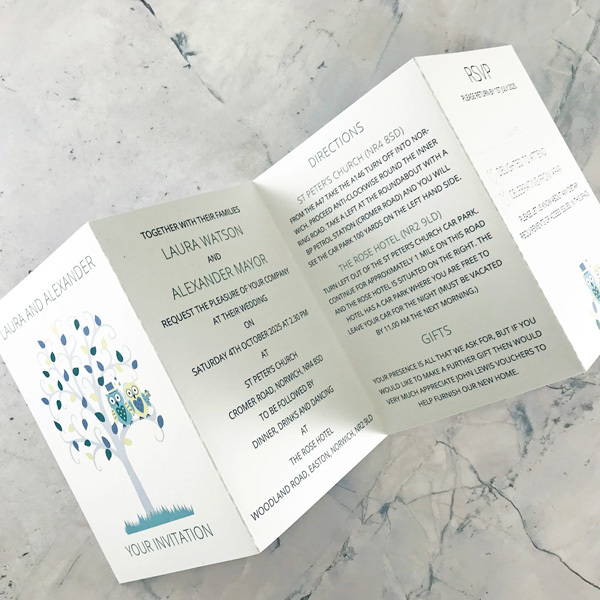 An Owl concertina wedding invitation with four panels containing invitation details, an information section and a detachable RSVP postcard. The invitation measures 14.8 x 42 cm. 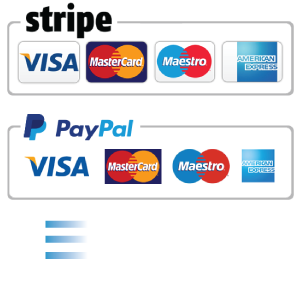 Each panel measures approximately 10.5 x 14.8 cm (A6 size). The invitation is made from high quality white or ivory card with a smooth or textured finish. 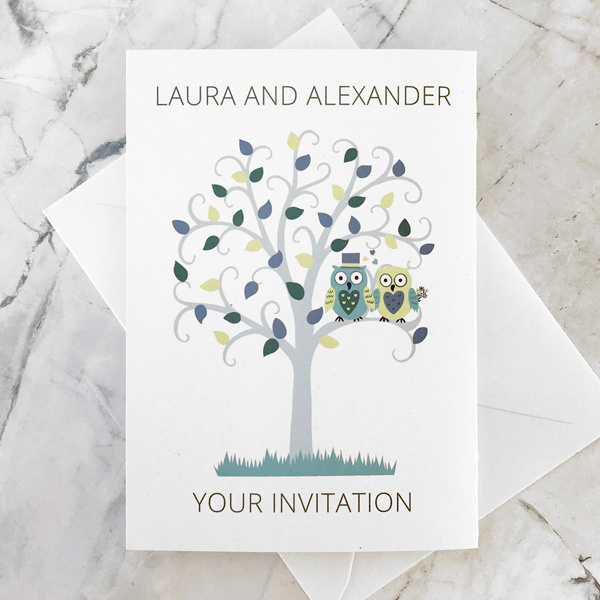 The Owl design has two cute owls dressed for a wedding. 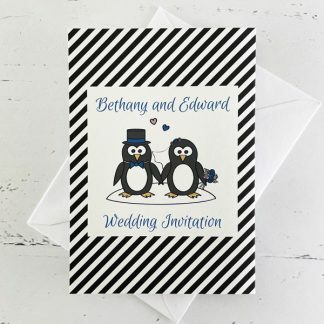 You can choose for them to be a Bride and Groom, two Brides or two Grooms. 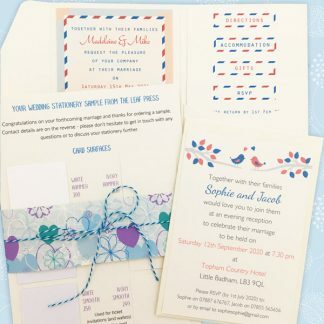 The design has a colour scheme based on any two colours, which can be chosen from the wedding colour chart. 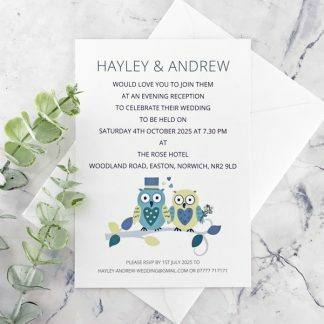 The Owl concertina wedding invitation design will be fully personalised to suit your wedding. 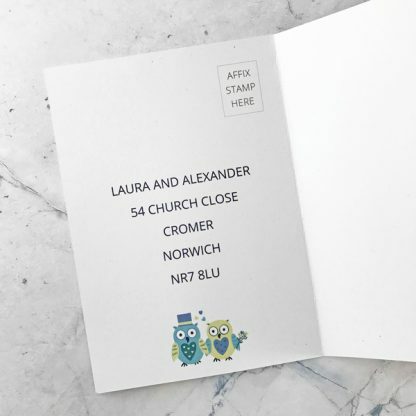 I will contact you for wording and am happy to provide advice. I will email jpeg pictures before printing so you can check you’re happy with the design.